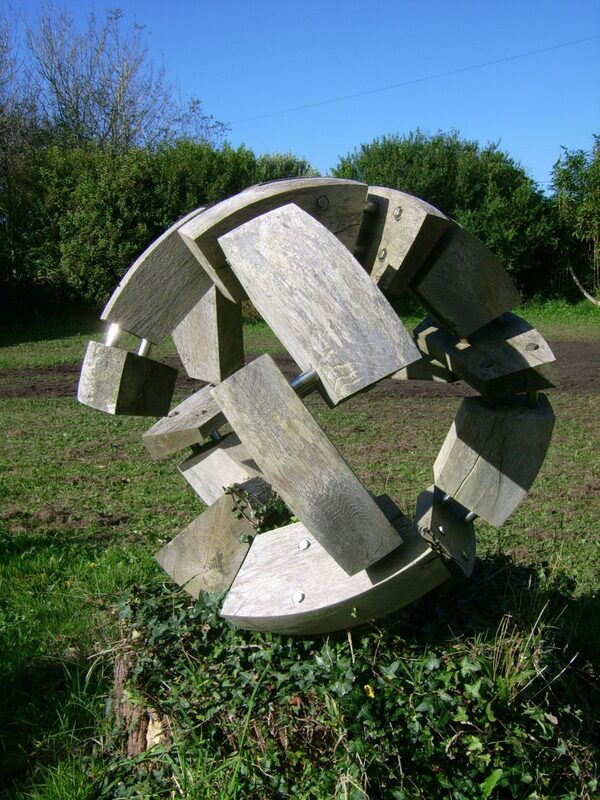 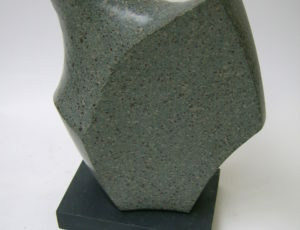 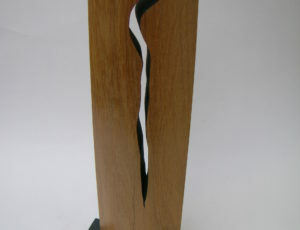 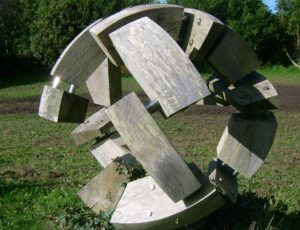 Mark studied sculpture at St. Martin’s School of Art in the early seventies and moved to Cornwall in 1982, attracted by its landscape, lifestyle and creative heritage. 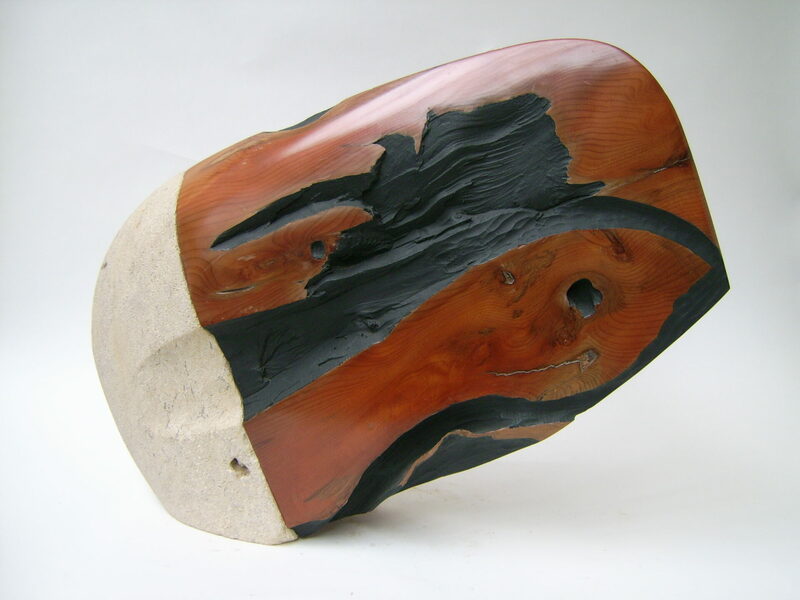 Having worked exclusively in wood since his time at St Martins, Mark had the opportunity to work in limestone when on a visit to Malta in 1989 and, inspired by the possibilities it offered for figurative work, began taking preparatory life drawing classes with Roy Walker in St. Ives. The drawing took on a life of its own and led to a series of drawings, monoprints and paintings. 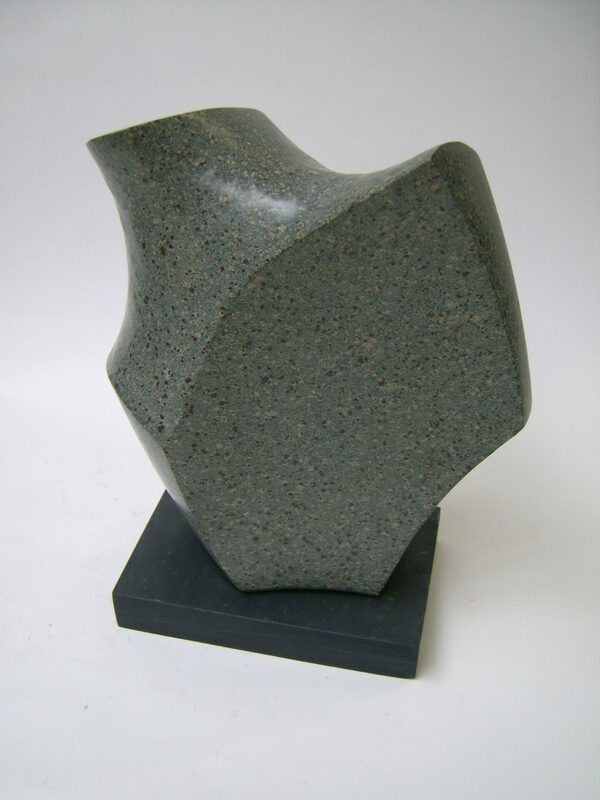 A return to Malta in 2000 enabled Mark to produce the figurative sculptures conceived on his previous visit. 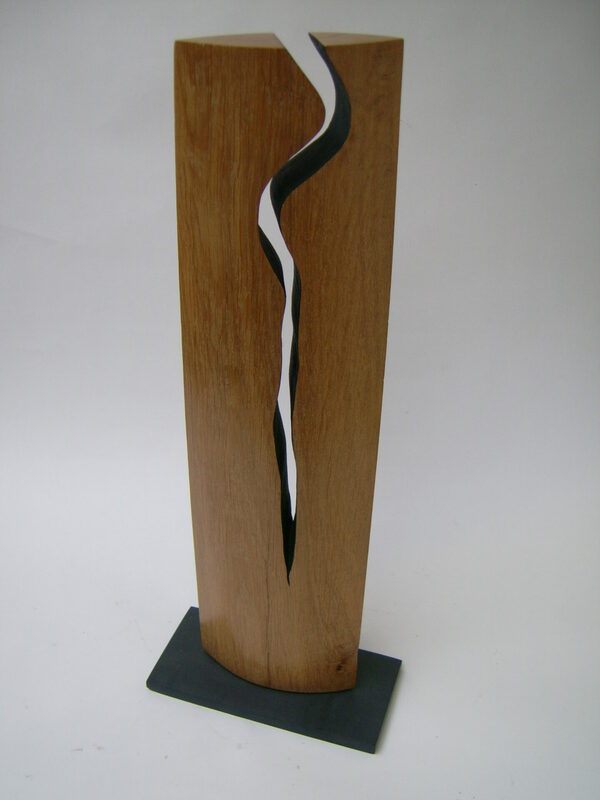 However, Mark’s work is predominantly abstract. 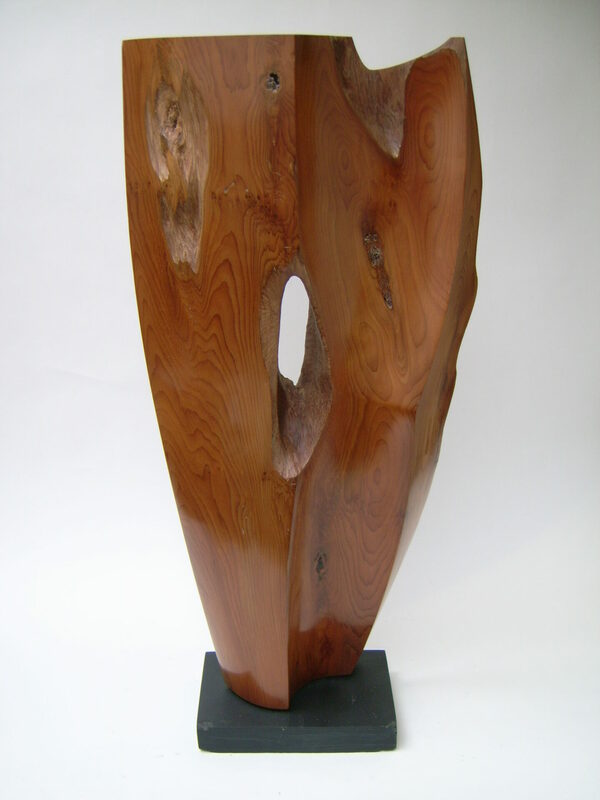 Inspiration comes from a combination of the nature of the medium being worked and the formal and geometric ideas that are realised as the work progresses. 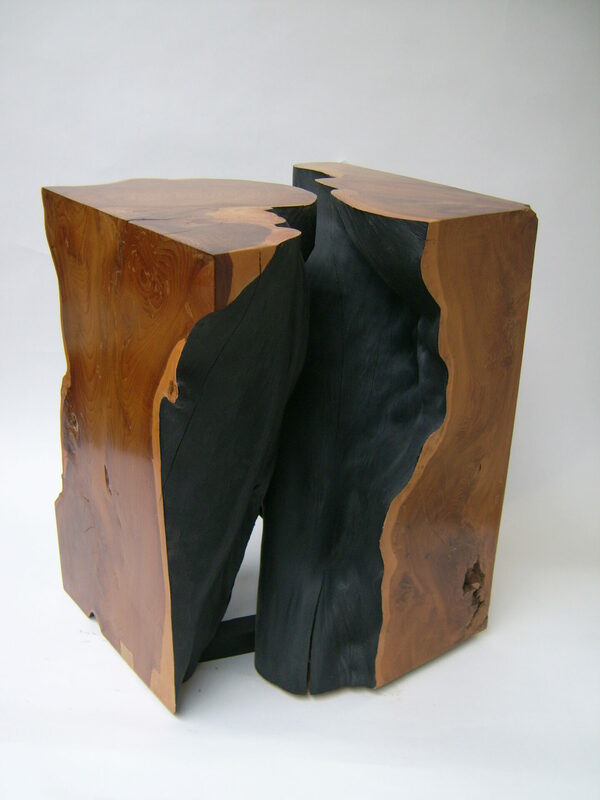 There is a great satisfaction in arriving at elegant solutions to the difficulties of imposing an idea or form on a material which is both resistant and has its own innate characteristics. 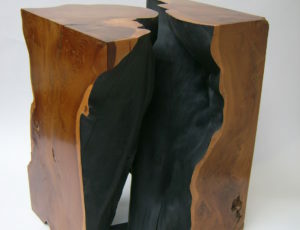 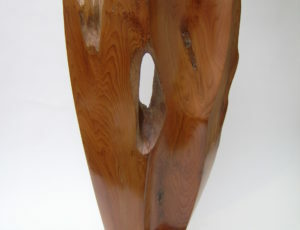 The pieces in Yew illustrate this well – the hardness of the wood enables a fine finish, and the convolutions of growth and grain in contrast with the simple worked surfaces produce fascinating forms.